One of the best luxury hotels in the beautiful city of Florence, Four Seasons Hotel Firenze is the best experience one can have. The hotel has recently been built, but most of the buildings in it are more than a 500 years old. 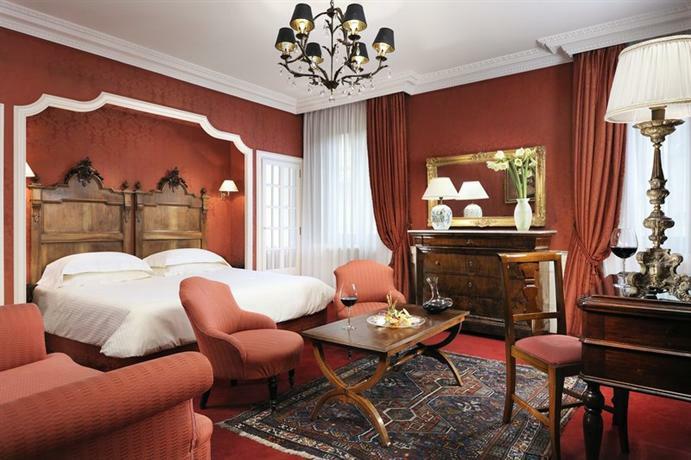 There are 116 rooms including the luxury suites which are decorated with old style furniture and all types of antiques from the Renaissance-era. The whole hotel property has been decorated with artworks from the Italian Renaissance period like oil paintings and antiques. 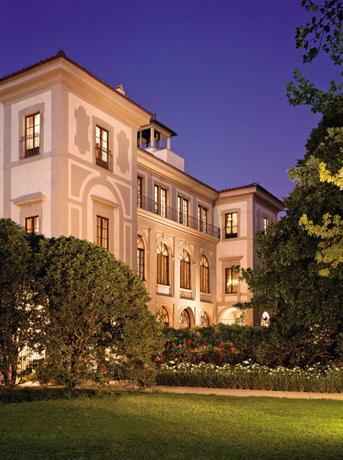 The guests have the access to the 15th Century Palazzo Della Gherardesca an eleven-acre park which is the biggest private garden in Florence. The hotel offers three restaurants that specialize in providing the best international cuisines in the world. The hotel also has an outdoor pool, world-class fitness center, and spa facilities which can be accessed all throughout the day. The hotel is located at a slight distance from the city's hustle-bustle, however, a 15-minute walk is enough to reach the city center. Located in the center of the city, Portrait Firenze is the perfect place to stay if you are looking for luxury with a view. The hotel is situated on the bank of the Arno River and is at a walking distance from almost all the major attractions of the city. All the guests of this hotel are greeted individually by the hotel staff. The hotel has 34 luxury suites and each suite has its own small kitchen. The rooms are fully automatic and there is an iPad provided to each room for easy access to the menu and other facilities. Spa facilities are available in the rooms as well as in the spa area. There is a restaurant in the hotel named Caffe Dell’Oro serving all kinds of foods all round the clock. 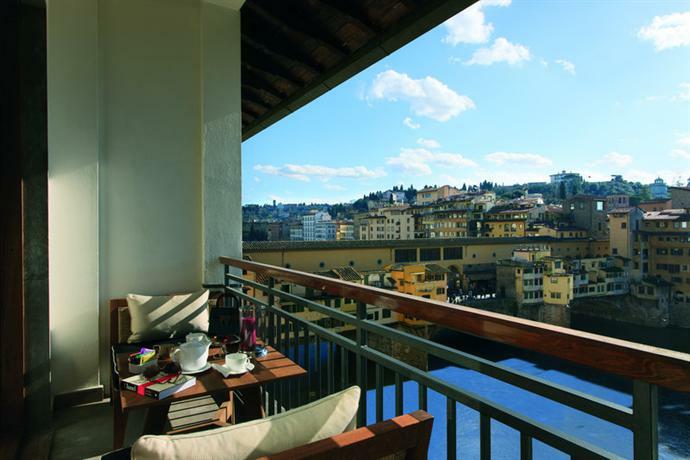 The restaurant has a magnificent view of the Ponte Vecchio and a very warm welcoming environment. There is also an in-house bar where you can sit with your friends and enjoy your drinks. 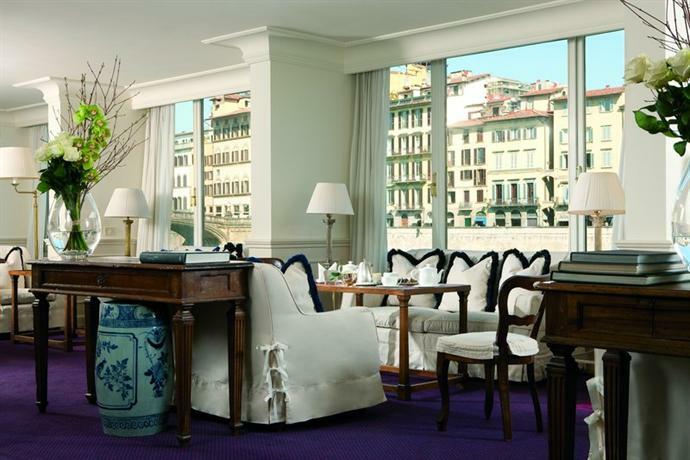 The St Regis Florence is one of the most beautifully decorated hotels in Florence. The hotel has been created by renovating a historic building that was designed by the very famous Filippo Brunelleschi. 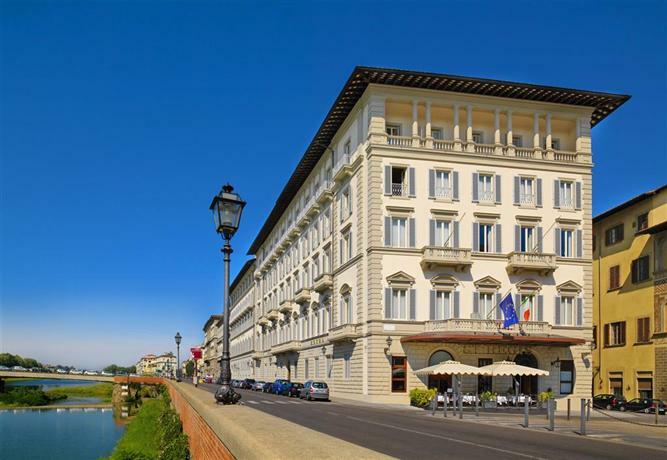 The hotel has 100 rooms and some of them have their own balconies and the view of the beautiful Arno River. The people staying in the premium deluxe Arno River Facing rooms get their own butlers that can be contacted all throughout the day. There is a beautiful restaurant in the hotel specializing in the Tuscan cuisine. The hotel also has a bar and free wifi services in the public places. There is a 24x7 operative fitness center and a spa service offering various types of massages. The hotel is situated at a walking distance from all the major attractions of the city and also provide a 24-hour limousine facility for a fee. 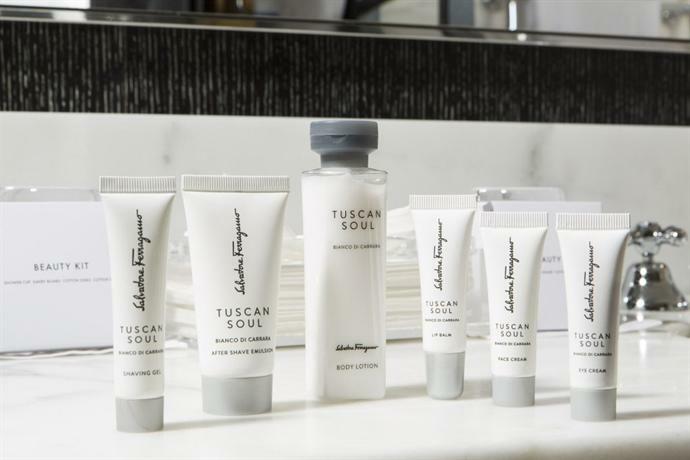 Situated in the city's prime location on the Piazza Santa Maria Novella, JK Place Firenze is the warmest and welcoming luxury hotel in Florence. The classic and contemporary interiors of this hotel are enough to transport you to a different world of divinity. There are 20 rooms including 10 suites, with some of the penthouse suites having their own private terrace. This is one of the most child-friendly hotels in the whole city with a complimentary stay for the children below the age of 12. The breakfast is served in the hotel dining room and for the lunch and dinner you can visit the hotel’s restaurant, The JK Lounge. There is also a rooftop bar with the most amazing view of the Duomo. The free wifi facility is provided all throughout the hotel and the guest gets a free access to the nearby gym, spa and the Fiesole museum. This palazzo was bought in the year 1770 and has been built in the early 18th century. The place still has all the architecture from the ancient times intact and has been preserved beautifully. The decor is ancient with the old-fashioned furniture to the rugs and huge ceilings. There are only 12 suites, and all 12 of them have been decorated to give you a royal experience. The rooms are huge and some of them have been equipped with chromotherapy hydromassage showers and other amenities. Since there are very few rooms in the hotel, it feels more like a private home than a public property. The hotel has a well-equipped fitness center and a spa. The fitness room can be used at any time of the day alongside the billiard room. It also has a rooftop bar that gives one of the most beautiful views of the city. Although, this hotel does not have an in-built restaurant, the food served is delicious. As it is located in the very heart of the city, all the major attractions are easily accessible from the hotel on foot. 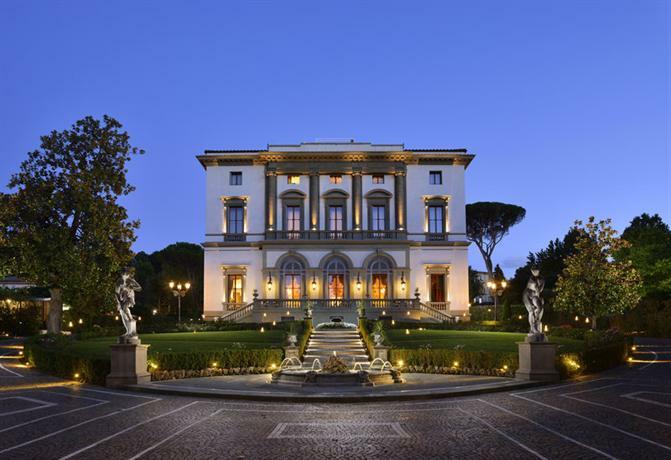 Built in the 1860s Villa Cora is a renovation of one of the oldest and the most beautiful palace in Florence. The villa has a huge park with hundreds of roses spread all around the main villa. The whole building is decorated in beautiful paintings, stucco-work, mirrors, and chandeliers. The hotel has 46 rooms including 11 luxury suites. 30 of its rooms are situated in the main villa and have been decorated individually with their own themes, 14 rooms are in the Villino Eugenia annex and the rest of the two rooms are built in the park. There are an in-house spa and a well-renowned fitness center in the hotel. They have a pool and a bar for the guest to sit and relax. The hotel has its own pool facing restaurant that is operated by chefs trained under Executive chef Alessandro Liberatore. The villa is at a distance of 15 minutes from all the city’s main attractions and has free parking facility for the people coming with their own vehicles. 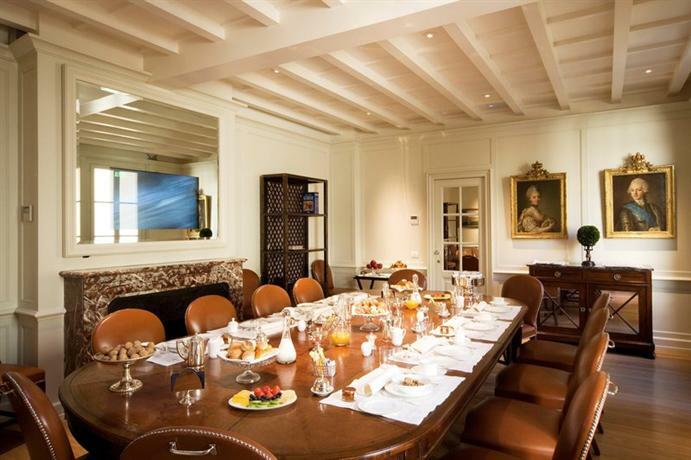 The Westin Excelsior Florence has been built by converting an old 12th-century mansion located on the banks of the River Arno. It is one of the best historic luxury hotels in Florence and has one of the greatest views of the city. The interiors are done in more classic and historic ways that are a perfect blend of ancient and modern sophistication. The hotel has 171 luxury rooms including suites which have been well equipped with all the possible amenities. There are a few rooms that come with their private balconies and a full view of the River Arno. The hotel has a small on-site fitness center and a beautifully decorated meeting room. They have a Sesto on Arno restaurant that provides some of the most amazing food in addition to the breathtaking view of the city and the river. The hotel is at a walking distance from almost all the major attractions of the city. 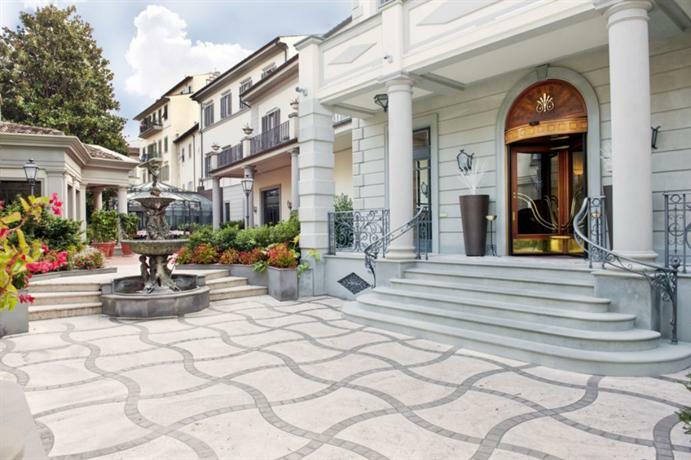 Built in the 19th century this hotel is the perfect combination of the modern decor with the Italian Renaissance. The whole hotel is decorated with the period furniture, ancient paintings, and wallpapers. This hotel has a total of 67 rooms divided into various categories suiting every budget. Situated in the heart of the city, this hotel is close to all the city attractions and the shopping places. The hotel has its own restaurant that specializes in the Tuscanian cuisine and can be accessed at any time of the day. Also, there is a bar and a library for people who just want to relax and spend some quality time in the hotel. 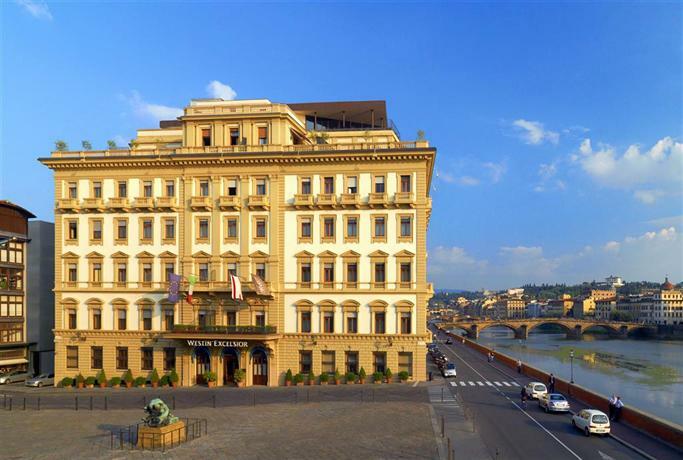 Located at one of the best positions of the city overlooking the Ponte Vecchio, Continental Hotel is located on the banks of the Arno River. The decor of the hotel is another thing that amazes its visitors to the core. The design is inspired by the 1950s and 1960s era with big spacious and brightly lit rooms. The rooms are done in soothing colors like whites and creams with leather and teak furniture. The hotel has 43 rooms including the suites. The rooms are well lit and fully equipped, there is a 24-hour room service available in all the rooms. The hotel has the White Iris Beauty Spa that offers a variety of treatments to pamper its guests. There is a rooftop lounge bar serving all kinds of foods and drinks. This beautiful and luxurious villa that has been rebuilt at a private neo-renaissance property. The property from the outside has all the ancient architecture, but on the inside has the most modern decor. 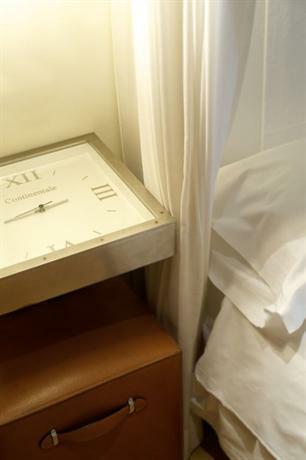 The 18 room hotel is situated on the outskirts of Florence, away from all the city hustle bustle. The hotel has a rooftop terrace that gives an amazing view of the Piazzale Michelangelo. The garden and parks are beautiful all throughout the year. There is also a big outdoor pool and hot tub in the hotel. Although the hotel is a little far from the city, a free shuttle service is provided all throughout the day to the city. Additionally, there is a very elegant in-house restaurant serving Italian and Tuscany cuisine. Renovated from the 19th-century private villa, Montebello Splendid is one of the best five star boutique hotel for the people wanting a peaceful vacation. 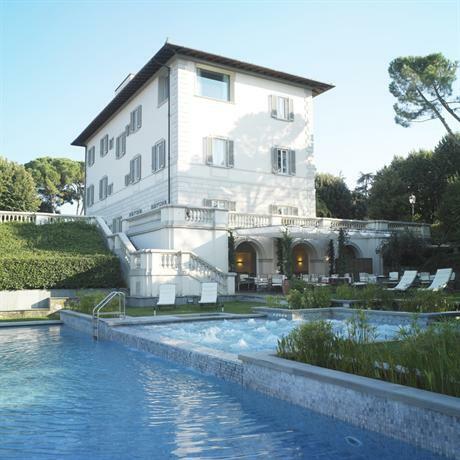 Located in the outskirts of Florence this lesser known property is a 10-minute walk from the central train station and a 15-minute walk from Duomo. The hotel has 60 rooms that have been decorated to give it a classic look and have some amazing detailing on the walls and ceilings. There is a beautiful courtyard and a garden filled with flowers all around the year. The wifi facility is available all throughout the hotel and they even have a small fitness center equipped with all the machines. They have an in-house restaurant and a bar which is accessible all throughout the day. The hotel even allows small pets. 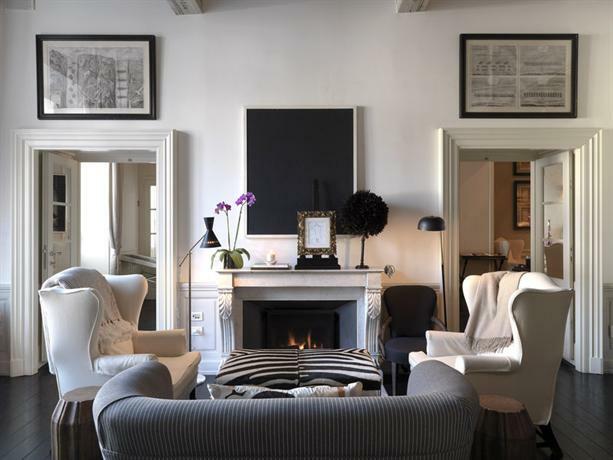 This upscale hotel property is one of the most sophisticated and creatively designed hotels in Florence. As the name suggests, the hotel looks like an art gallery with hundreds of rotating artworks from various artists all over the world. The hotel has a decor that is a fusion of the contemporary Asian minimalism with the Tuscan elegance. The hotel has 74 rooms including three penthouse suites. Each room or the suite is well equipped with a lot of modern amenities. The penthouse suites come with their own terrace and a breathtaking city view.They have a Fusion bar and restaurant that is operative all throughout the day with an exclusive sushi menu. The hotel sports a library or a lounge for the people to relax. One of the major benefits of this hotel is that it is pet-friendly and no extra fee is charged to keep the pets in the hotel. Here, there is a free wifi facility too. 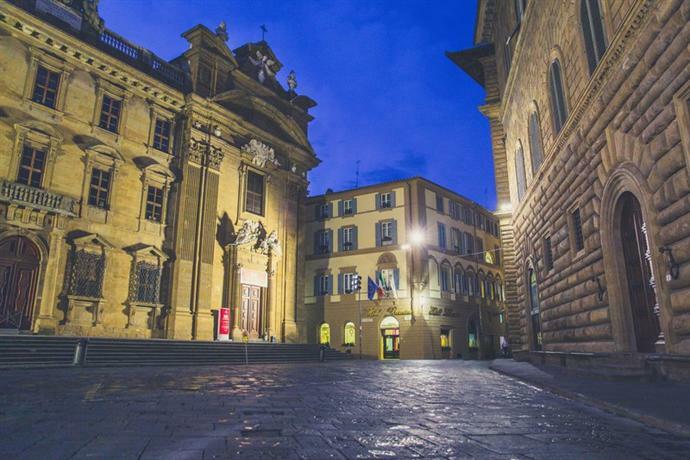 Situated only a few steps away from the Galleria Degli Uffizi and Piazza Della Signoria, Bernini Palace hotel is a five-star property providing one of the best stays in Florence. The property was built in the 1500s and has been recently renovated keeping intact the essence of the old building. The hotel has 74 rooms including the suites that come with a mini bar and free breakfast. The hotel has an in-house restaurant and a bar for the guests to have their dinner. The hotel offers a rooftop terrace and free wifi in all the public areas. It also has a business center and the staff is multilingual for the ease of the guests. Although, there are not many activities to do in the hotel itself, its location will not let you get bored. It is located at the heart of the city and there are numerous eateries and shopping places to visit nearby.